On Tuesday night, FilmScene kicked off their portion of the Mission Creek festivities with an a special event focusing on the life and work of Senegalese filmmaker Ousmane Sembene. The event consisted of a screening of Sembene!, a documentary on the life of the influential filmmaker. 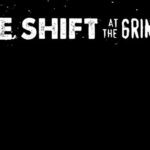 This was followed by a live Skype Q&A with co-writer/producer/director Jason Silverman. Finally, the evening ended with a screening of a brand new restoration of Sembene’s highly influential film Black Girl. Sembene! is a documentary from 2015 on the life of Ousmane Sembene. Sembene was a highly influential filmmaker and writer, beginning his work in the 50’s and continuing until his death in 2007. He is often referred to as “The Father of African Cinema”, and his work focuses on the struggles of Africans in a post-colonial and neo-colonial Africa. Sembene! is co-written and directed by Samba Gadjigo, Sembene’s biographer. 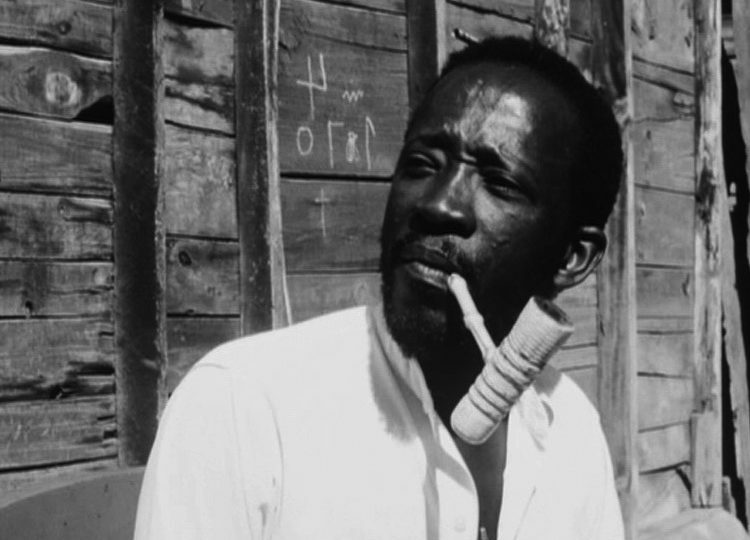 Gadjigo serves as the film’s main narrator, as he retraces Sembene’s life from his time as a dock worker in Marseille until his death. 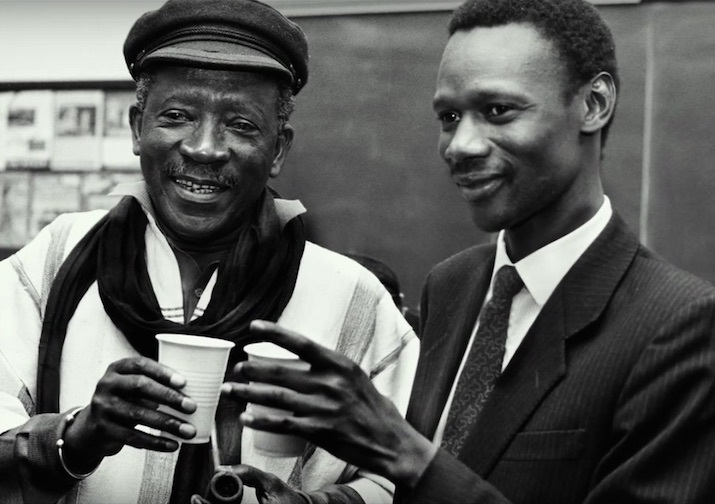 The beginning of the film is perhaps a little meandering, featuring mostly unrelated stock footage and vague general claims about Sembene’s early life. It lacks real definition and fails to give a meaningful representation of Sembene. However, once the biography moves to the later stages of Sembene’s life and makes use of more footage from his films, his life, and interviews from people who knew him, a more clear picture is produced. While perhaps not the world’s greatest documentary, Sembene! still provides an important insight into a seminal figure in the history of cinema. 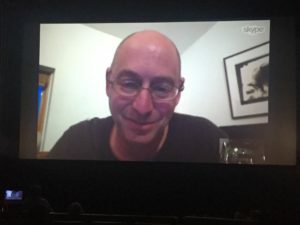 Jason Silverman via Skype at FilmScene screening of Sembene! The Skype Q&A with Jason Silverman was interesting, despite a rather lackluster audience. This particular event was added to the Mission Creek lineup very recently, so the small crowd was understandable. As always, FilmScene did an excellent job quickly setting up the Skype call and fielding questions for the director. 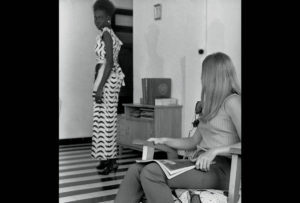 Silverman talked about the difficulty of parsing down the hours of available footage, specifically mentioning an Angela Davis interview that he desperately wanted to add, but ultimately decided wasn’t within the film’s natural flow. He also spoke about the film-making process. He and Samba Gadjigo decided to shirk the “History Channel-style documentary” in favor of a more human storytelling experience. The restoration of Sembene’s Black Girl was absolutely gorgeous, and a real treat to watch. It was Sembene’s first feature-length film, and is considered by many to be “the first Sub-Saharan African film by an African filmmaker to receive international attention.” The film follows Diouana, a Senegalese woman who is hired by a rich white couple to work as their maid back in France. Unfortunately, France is not the paradise that Diouana expected, and her menial work and harsh treatment at the hands of her employers leave her feeling like a prisoner. For a feature length debut, this film is really quite a bold work. The non-linear narrative and bold camera movements make the film feel modern despite its age. Diouana is an incredibly sympathetic character, and for Sembene’s storied filmography of African pride and political revolution to begin with a young Senegalese woman as the protagonist is worthy of note. Not only was this film influential for its treatment of black Africans as real subjects (in the hands of black African director), it was also influential for its depiction of women as complex and compelling story-leading characters. 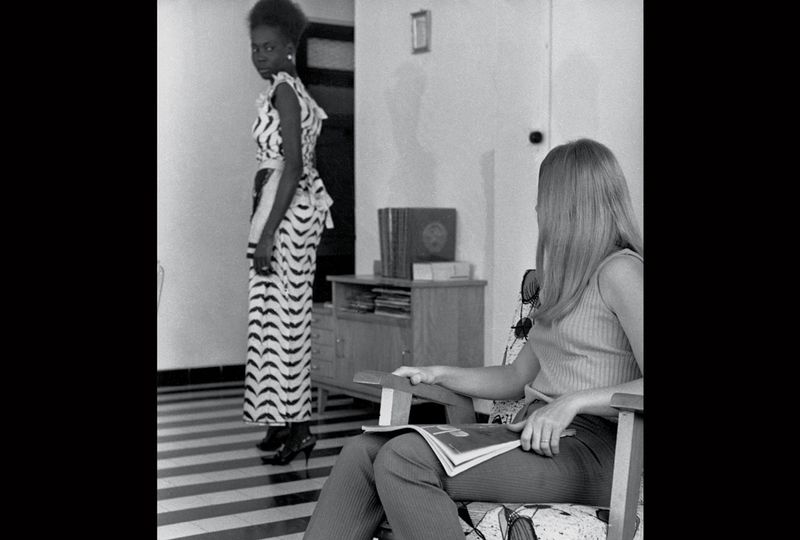 In fact, there a number of shots from Diouana’s direct point-of-view, a treatment that no other character receives. Hopefully this new restoration sparks a wave of greater appreciation and scholarly study of Black Girl, a film whose importance to cinema has surely been understated. 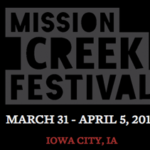 Click here to check out the rest of the lineup for this year’s Mission Creek Festival.